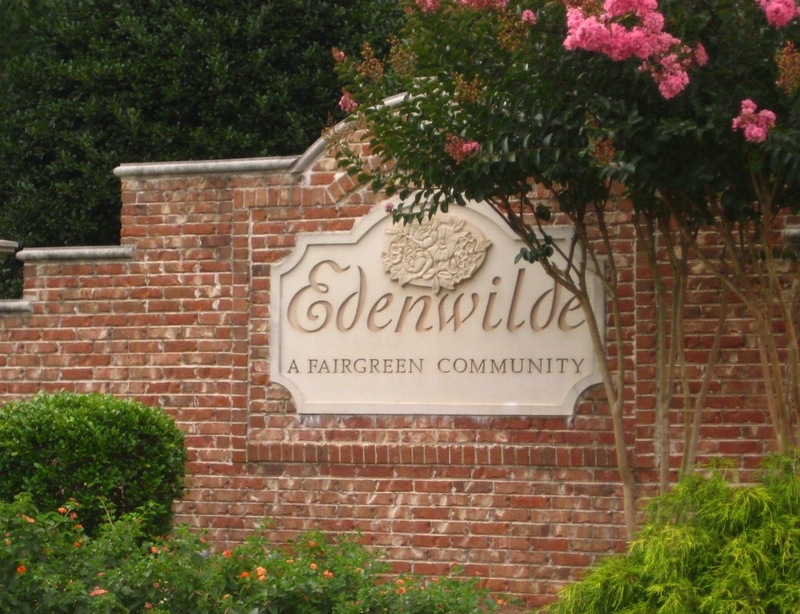 Edenwilde is a charming, family-oriented neighborhood of 391 homes in the Crabapple area of Roswell, in Fulton County, GA. It is a beautiful neighborhood that was built on property that was once the home of a nursery and dairy farm. The developer, Fairgreen, was awarded the Global Relief Award by the National Association of Home Builders for Edenwilde's lush landscaping, individual gardens, and tree lined streets. The community has retained that feeling with extensive landscaping, three lakes, and over 7 acres of recreation area. Our neighborhood has a wonderful spirit of community, fun, and friends. We have an active social committee that oversees over two dozen events a year. We have a group that does charity work, a great swim team, a number of tennis teams, and many more way to get involved and meet your neighbors.